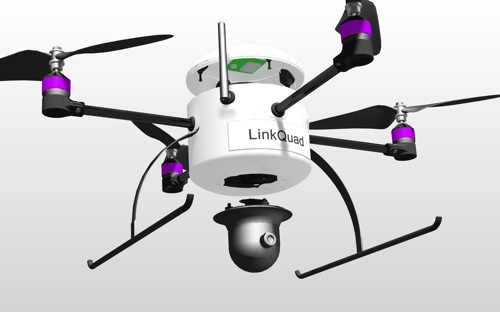 The LinkQuad is our new highly versatile autonomous Micro Aerial Vehicle. The platform’s airframe is characterized by a modular design which allows for easy reconfiguration to adopt to a variety of applications. Thanks to a compact design (below 70 centimeters tip-to-tip) the platform is suitable for both indoor and outdoor use. It is equipped with custom designed optimized propellers which contribute to an endurance of up to 40 minutes. Depending on the required flight time, one or two 2.6 Ah batteries can be placed inside an easily swappable battery module. 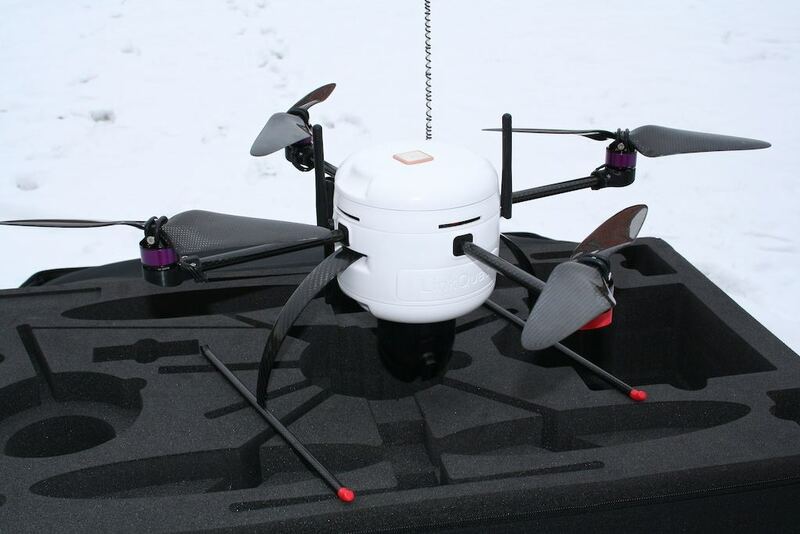 The maximum take-off weight of the LinkQuad is 1.4 kilograms with up to 300 grams of payload. A twist and lock approach is used for adding and removing external sensor modules in the field for on-the-fly mission adaptability. A similar modular approach is used for software components. The system is Linux compatible and has a modular software system for programming hybrid automata based on the use of Extended State Machines (ESM). The newest version of the system will also be ROS compatible. Download the LinkQuad system brochure. Download the LinkQuad platform datasheet.